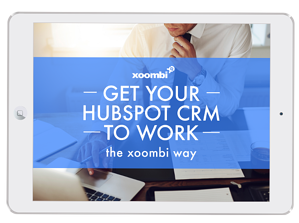 Get your Hubspot CRM to Work! ...a poorly implemented HubSpot CRM can become a salesperson's worst nightmare. The HubSpot CRM features amazing functionality, it's free and it integrates automatically with the HubSpot Marketing platform. But setting it up properly, customizing it to your sales process, and training your sales team to use it... is not so easy. Don't work for your HubSpot CRM, make it work for you!